We can offer a full range of beltings to suit all makes & models of Industrial & Commercial Ironers. All of our belts can be supplied either in made to length belts or roll form. 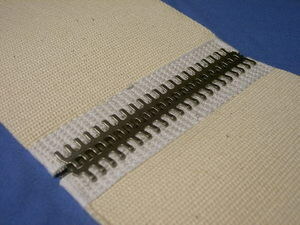 Belt ends reinforced with heavy duty stitching (woven cotton belts) prior to being fastened. 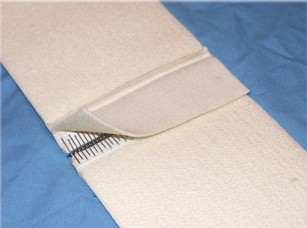 We are able to offer an oblique sewn endless belt. Full range of Perforated Feed Bands to suit most Commercial / Industrial Flatwork Ironers. 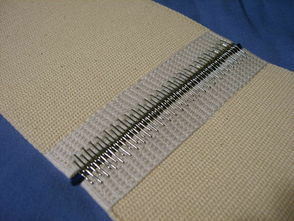 Infeed belts with either a N025 fastener or oblique sewn endless.